Give the gift of an ART DROP CLUB membership. 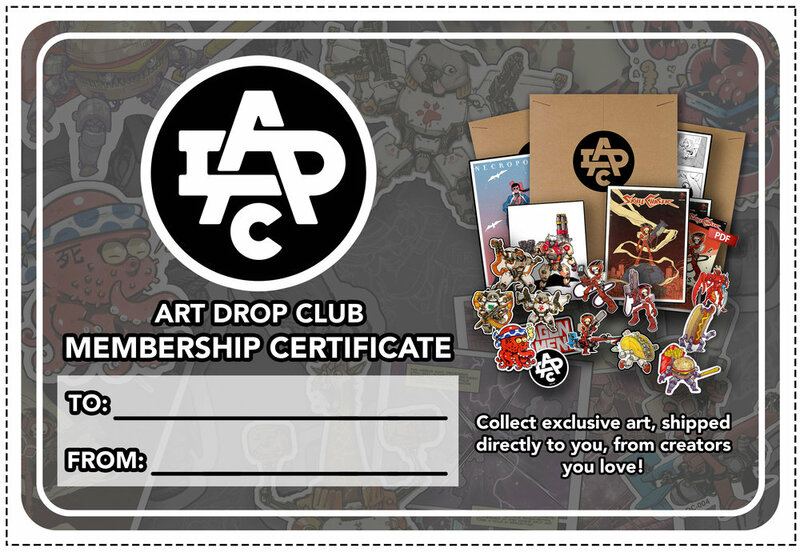 Join the club and set the shipping address to who ever you want to receive the gift of exclusive art. Print the membership certificate below.